Debrah Thiessen was told her marriage licence was no good as ID but a fishing licence was. Then the airline helped her get one. 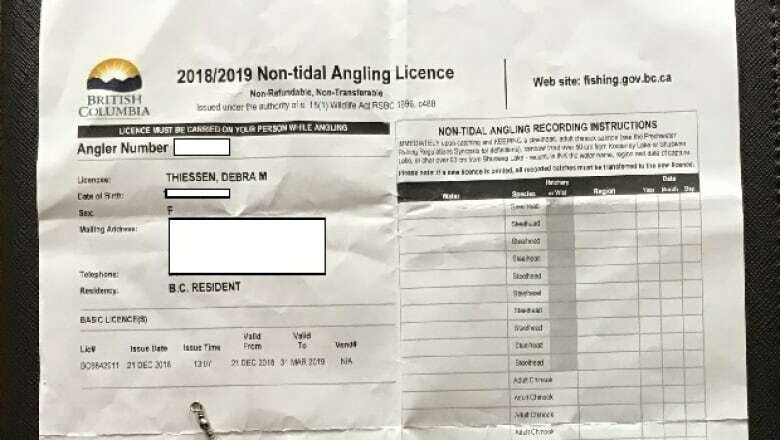 Debrah Thiessen's fish tale is more accurately a fish licence tale — an absurd story of a missed flight, random rules, a marriage certificate, and, yes, a brand new fishing licence bought in desperation by a Kelowna woman who has no intention of going fishing. Ever. It all started with the job action at Canada Post. Thiessen's new driver's licence was stuck in the mail which was a problem because she was booked to go visit her 82-year-old mother in Winnipeg over Christmas. Without that driver's licence, she didn't have the valid photo ID required to board her flight. When she phoned WestJet, she says the airline representative told her she could use two pieces of government-issued non-photo ID instead. So, she dug up her marriage licence. Along with her temporary driver's licence, Thiessen assumed she was good to go. WestJet, as it turns out, doesn't accept marriage licences, something Thiessen found out the hard way when she tried to check in for her flight. Surprisingly, she says she was told by the agent the airline would accept a valid fishing licence. A second surprise followed. 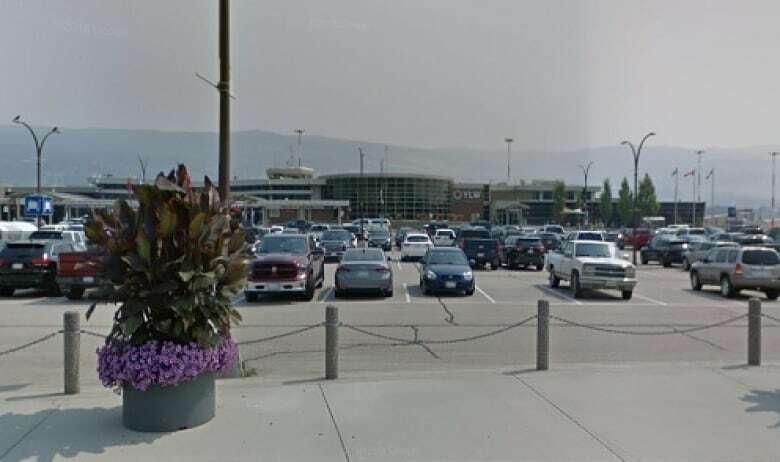 Thiessen was told she could get said fishing licence right in the Kelowna airport. A helpful WestJet supervisor escorted her to the commissionaires office. There, Thiessen was set up on a computer where she filled out the online fishing licence application, paid $36 and immediately printed her brand new B.C. 2018-2019 Non-tidal Angling Licence. Unfortunately, in the minutes it took to secure the critical document, boarding for her flight was halted and Thiessen was forced to reschedule. One day later, fishing licence in hand, she sailed through security without a snag. One month later, the weirdness of it all still doesn't sit right. "It's maddening," said Thiessen. "I could have plugged in any information for the fishing licence ... there's no verification. To me, that marriage licence is a lot more of an official document than a silly little fishing licence." Her husband is equally incredulous. "She couldn't get on the plane with her temporary driver's licence, but she could get on the plane with a fishing licence that has no photo and that she had just applied for ... that we just typed on the computer and printed," said Gary Thiessen. In an email, WestJet said: "In our effort to assist this traveller, the guest was advised of additional ID options that met the Transport Canada's requirements," although fishing licence does not appear on the Public Safety Canada website the airline references, nor does it appear on the WestJet website. Although the ordeal meant missing a day of vacation, Thiessen said a special Christmas gift helped captured the humour of the situation. 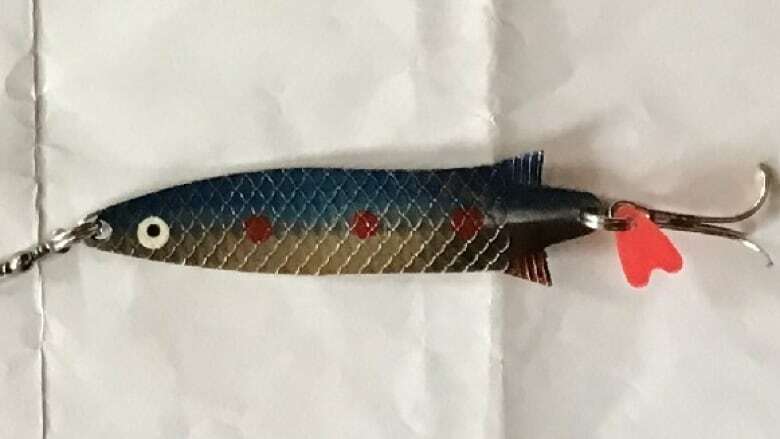 "A family member gave me a fishing lure," she said. "I thought that was hilarious."